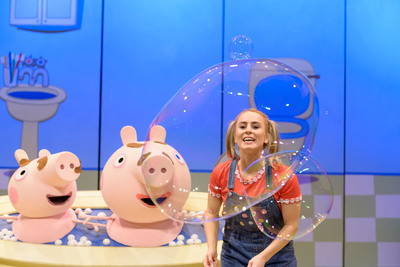 Peppa fans, your favourite little pig will return to the Melbourne stage with her friends this April & May, in a brand new show for babies, toddlers and pre-schoolers. Peppa Pig's Surprise will tour 40 venues across Australia, featuring a brand new production and life-size puppets. This brand new Peppa Pig theatre production, Peppa Pig's Surprise features Peppa, George, and their friends in an all-singing, all-dancing adventure full of songs, games and surprises and will mark the eighth consecutive year of Peppa Pig live theatre tours in Australia. The Comedy Theatre, Melbourne: May 15 – 19.